Has your IT department started doing Scrum, and now you are wondering how you as a Product Manager or business Project Leader should work with a Scrum team? Are you selling IT services and wondering how you write a quote - especially a fixed price quote - if your team is doing Scrum? How do you plan a project if every month you can completely change the deliverables? How do you calculate a price or a schedule? How do you deal with customers when your teams do Scrum and make Scrum "Real-World Compatible?"' So many questions! This course will help you find answers! If you are a Product Owner, Scrum Master, Program Manager or Sales Consultant who needs to reliably estimate, schedule and price a software development project using agile methods, this course is for you: A two day immersion into creating great products, agile planning and estimating, and managing the agile team. Advanced Topics: Applying ideas from Kanban and Lean Startup to maximize your success with your Scrum Team. After completing this course, you will be able (with the help of your Scrum Team) to create, budget, plan and schedule and quote an agile project. This course is ideal for (future) Product Owners, Scrum Masters, Project Leaders, Product Owners, IT Managers and Sales Consultants who want to plan, budget and bid on agile projects and who want to maximize their chances of success with the software they develop. As an experienced Scrum coach, trainer and mentor with a passion for helping organizations transform themselves to thrive in the 21st century, Peter Stevens have been training Scrum Masters, Scrum Developers and Scrum Product Owners in Switzerland and abroad since 2008. His coaching focus is on transforming organizations. "As Product Owner for the HappinessApp, I am confronted myself with the challenges of being a successful Product Owner. I can share real life experiences to help you do your job better. I teach teams, their leaders, their management and their stakeholders to do Scrum well, to understand Scrum deeply, and to live Scrum values." 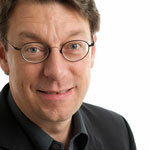 Peter is an engaged leader of the Agile community in Switzerland and worldwide. Most recently, he initiated the Stoos Network, an interdisciplinary summit to catalyze a lasting change in business management along Agile principles. Course language - courses available in English and German, see calendar for details. This course is held regularly in Zurich. All dates are guaranteed (even if you are the only participant). For prices and dates: continue to Register Now...! Participants qualify for Certification as a Certified Scrum Product Owner by the Scrum Alliance. An additional test may be required. A membership in the Scrum Alliance is included in your course costs. Members of the PMI can claim 15 PDUs (starting August 2013, 22 PDUS) for successful completion of this course and apply this course towards meeting the requirement of the ACP. All participants who actively participate in the entire course receive a confirmation of participation. The MasterClass Workshop on Scrum Performance enables you to understand and improve the performance of your team in your organization, given that you are doing Scrum. You may book master classes individually or together with a CSM or CSPO class at a discount. The MasterClass Workshop on Scrum, Vision and Team Performance enables you to understand and improve the performance of your team in your organization, given that you are doing Scrum. is the CSPO a 1, 2 or 3 day training? Starting with the August course, this is now a three day course.